Jurgen Klopp thinks Liverpool could need 105 points to win the Premier League title this season. 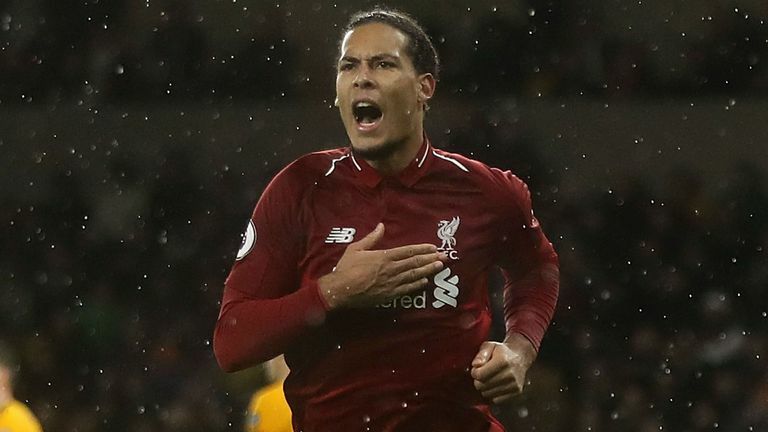 Liverpool moved four points clear at the top of the table with a 2-0 win over Wolves on Friday Night Football. They are on 48 points after 18 games, but Klopp thinks they might need to maintain their current pace to have a chance of challenging for the title. "So far it looks like a really special season, 48 points before Christmas is crazy," the Liverpool manager told Sky Sports. "But there are other teams. Chelsea, Manchester City, Tottenham, Arsenal, will probably win, so then they have 40-something points, nobody is dropping points down to fifth or sixth. You will probably need 105 to be champions at the end of the season, you don't know. "We know we are good and are in a good moment but we have to respect the others are good so we can't start a party or plan a party for the summer now. "For the moment it's really nice and now we have to make sure we have fresh legs as quick as possible and get ready for Newcastle." 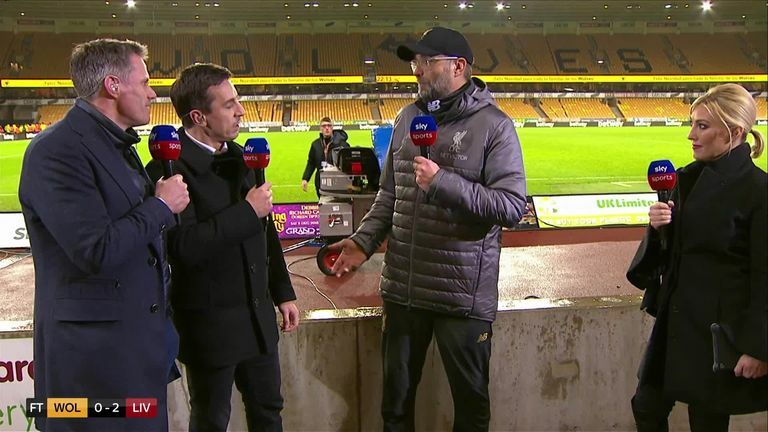 Mohamed Salah and Virgil van Dijk scored the goals to secure victory for Liverpool at Molineux. Van Dijk was also named man of the match after a commanding display at centre-back. Asked whether Van Dijk is even better than Klopp thought he would be when he joined in January, the Liverpool manager said: "Yeah, together with all the other boys around he is much better. "He had to improve, he is still improving, but he is an outstanding player. He helps so much, but you also see how we do it around him. Virg is the player we saw in him, so that's cool."